One of make up must-have items addition to your foundation is the best concealer. Why concealer? Because the products are similar to the foundation are better able to cover a wide range of skin problems. Just look at the faces of celebrities that appear smooth like escape from stain . One trick to get celebrity make up look is to use concealer that is in accordance with skin problems. Here are tips on choosing the right concealer. The lower part of the eye that you should choose a concealer color is dark orange. Make- up artist Adi Wahono says, do not suggest to use a concealer with a white color, as it makes the skin look so eyes look puffy. “In theory, when we learn the color wheel ( color ring ) , that includes a dark blue like under the eyes. To neutralize it we have to cover it with different color of blue is orange, ” advises make- up artist graduate Diploma of Specialist Make-up Services Swinburne University of Technology in Melbourne, Australia. Wipe eye concealer at the most dark skin. It is usually in the eye up to the semi-circular upper cheek. Greed concealer gently with your hands or a brush to be more evenly shaped flat. After that, wipe foundation to give a more flawless look. Concealer can also be relied upon to cover acne. 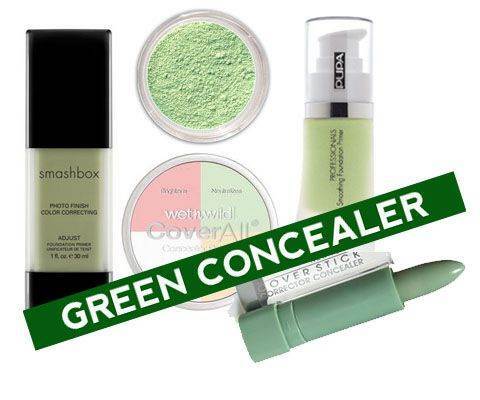 ” If the acne redness , select the green concealer, ” advises Adi. But should, before using concealer should apply tea tree to soothe acne. After concealer, foundation to further disguise wiped. Covering the wound is rather difficult , because the color is different , sometimes reddish , brown or purplish. A lot make- up artist who suggested to use a concealer the same color with the color of the skin and use it in bold. If the scars are dark brown, use a concealer with a darker color in order to really camouflaged, then apply foundation according to skin color so that the face does not look dull because of the color of concealer that is too dark .